Leading from Höfle (in the hamlet of Kaisers) to Brand. A very flowing trail! 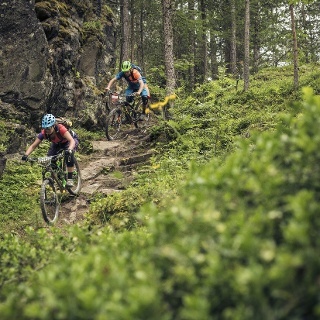 A truly pleasant route on nice forest soil, ideal for a short outing after work. Steeply ascending sections take you the start of the trail. 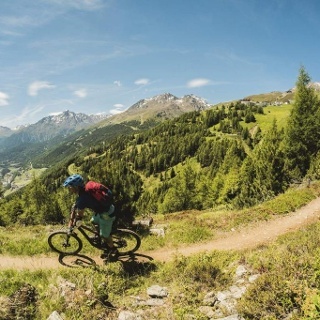 What's best, there are no mountain lifts on this side of the valley and you can enjoy a truly charming and secluded Single Trail far away from the much busier slopes of the BIKE REPUBLIC SÖLDEN. 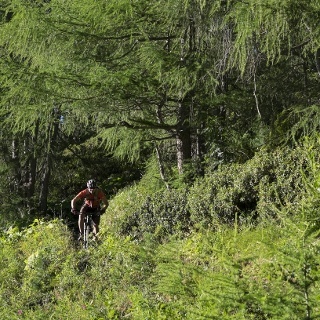 In some parts the route features tree roots and short but very steep descents. In case of wet and rainy weather it takes quite long to dry again. After about 500 m the this route joins the Ötztal Cycle Trail (11) shortly before you get to the hamlet of Aschbach. 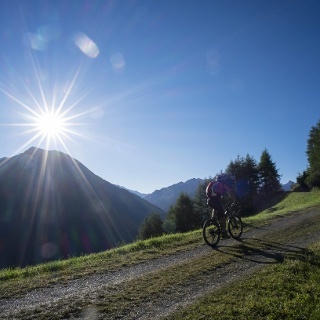 Then you can either return to the BIKE REPUBLIC SÖLDEN or head towards the lower valley. Scenic Kaiser Trail makes a perfect combination with the Kaiserwald Route (603), ideal for a short bike tour after work. This part of Sölden is much less frequented as there are no mountain lifts. This one is a Shared Trail. In case of wet and rainy weather it takes very long to dry again. The Kaiser Trail can be reached on the blue Kaiserwald Mountain Bike Route (603). After a short stretch on the forest trail you reach the Single Trail right amidst the forest. 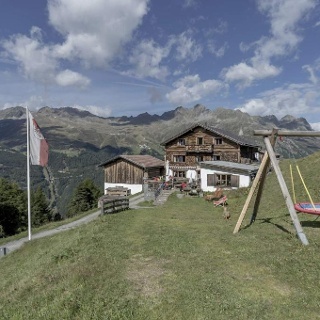 This route ends on the Ötztal Trail (11) which takes you southwards back to Sölden or northwards towards Längenfeld. In case of wet and rainy weather it takes quite long to dry again. After about 500 m the this route joins the Ötztal Trail shortly before you get to the hamlet of Aschbach. 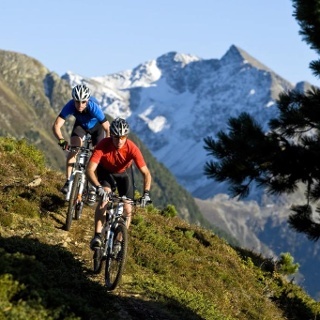 Then you can either return to the BIKE REPUBLIC SÖLDEN or head towards the lower valley.